Great news for fans of Live Dealer casino games: Slotscash has now added Live Dealer Casino games on Instant Play. Previously, these games were only available at the download casino only. This means you will be able to enjoy Live Dealer casino games straight in your browser, without having to download the casino. A fast and handy way to experience the thrill and excitement of live dealer games, right in the comfort of your own home. Should you decide to play Live Roulette, we advise you to always choose European Roulette, as the house edge is significantly lower than the house edge at American Roulette. Of course, this difference in house edge is caused by the fact that European Roulette has one zero, while American Roulette has two zeroes, nearly doubling the house edge. If you are looking for an online casino to try out your favourite winning roulette strategy, Slotocash is an excellent choice. Backbet Blackjack offers players the chance to bet behind other players. This is a great way to get in on the action should all tables be full, or if you want to get in another players’ winning roll. All games are available 24/7 and are powered by RTG software. 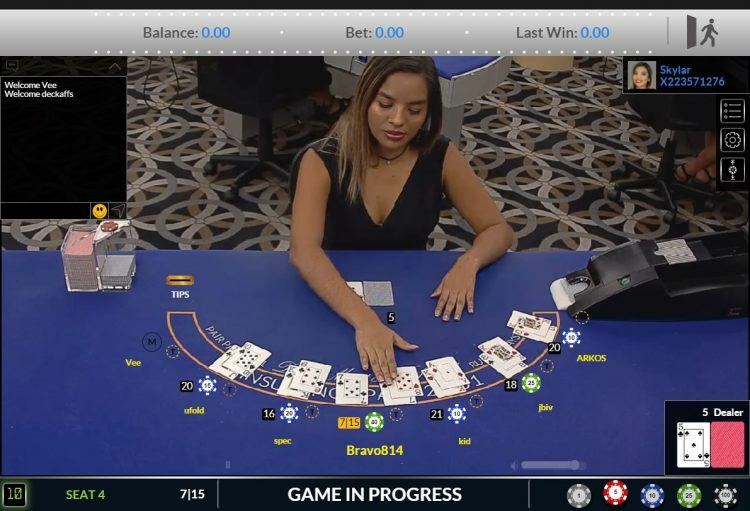 Live Dealer games can be found in the left navigation menu under ‘Live Dealer’ when the player is logged in to instant play. Slotocash is an RTG powered online casino that has been around for a long time – since 2007. It offers players from around the world, including the USA, New Zealand and Australia an exciting and reliable place to play real money casino games. You can play the latest online pokies such as Asgard, Dragon Orb and Bubble Bubble 2. You will also find a vast selection of table games, both in electronic versions as in Live Dealer versions. This online casino offers players two versions of the casino: a download version and an instant play version. The download version of the casino offers some extra games that you will not find in the instant play casino. Slotocash is owned by Deckmedia, which also owns and operates the online casinos Uptown Pokies, Spartan Slots and Fair Go Casino. The welcome bonus offers are plentiful. New players get a deposit bonus on the first 5 deposits, which includes a 200% welcome bonus on the first deposit. On top of that, you will receive 100 free spins on the popular pokie Cash Bandits 2. All welcome bonuses need to be wagered 25 x the deposit + the bonus amount, and only pokies and keno games count towards wagering. There is NO maximum amount that you can cash out with bonus money.